Do you have ancestors who fought in the American Civil War from 1861 to 1865? If you answered yes then you will probably be curious to find civil war ancestors records, details and guidance on how to proceed. 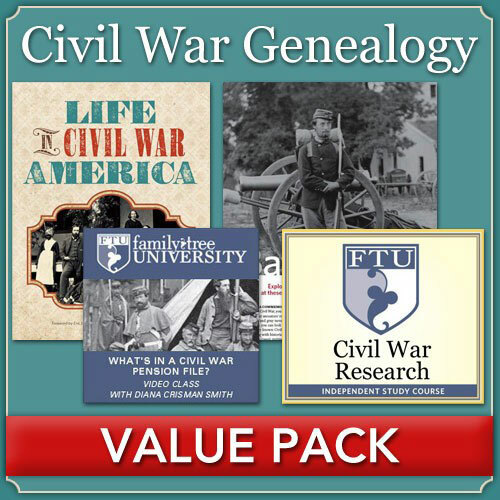 This Civil War Genealogy Value Pack is a collection of resources which will help you on your family history journey. It will show you everything that you need to know in order to research your rich Civil War heritage. Buying these 4 resources would normally cost you a $156.97. But buying this complete collection that contains an ebook, together with three other digital files can give you a 68% saving. All of this for a very low $49.99! But what does it actually contain and what can you get from this collection? Well keep reading and I will show you how you can benefit from this aid. There were two sides to the American Civil War. There was the Union and eleven Southern states that grouped together to form the Confederate States of America. These eleven states wanted to break away from the existing colony of the United States. This Confederacy was never officially recognized though by any foreign country. The origin to the war was due to the issue of slavery. The north, Union, wanted to abolish it, yet the Southern states wanted to retain it. 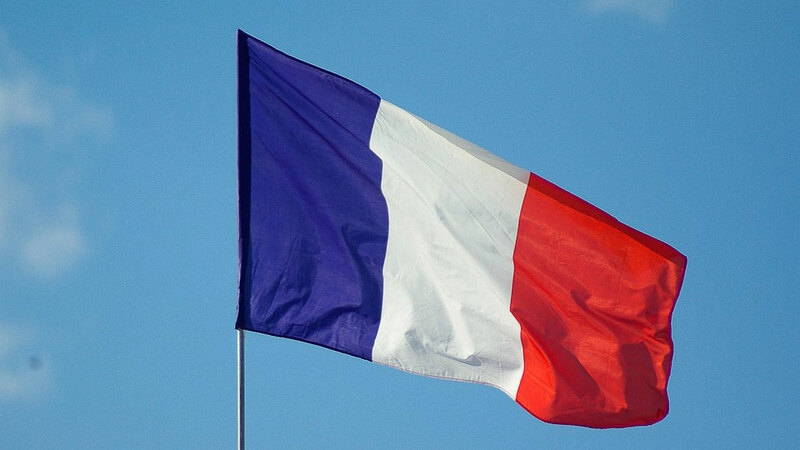 Up to 750,000 soldiers lost their lives during this four year war. The number of deaths was far more than both the First and Second World Wars combined. The Union won the war and slavery was abolished. Civil rights were thus guaranteed to the freed slaves. Unfortunately much of the South’s infrastructure was destroyed and so needed to be restored. If you want to learn more about the history of the American Civil War then Wikipedia has a more comprehensive guide for you. 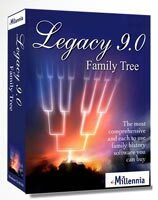 Why Purchase the Civil War Genealogy Value Pack? Finding a Civil War connection within your family can both be exciting and interesting to include into your family’s history. Just who were they, what side who they on and what happened to them during the war? All of these questions you will want to know the answers to. But where do you start and why is this collection for you? You want to find out more about your Civil War ancestors but just don’t know where to even begin. You are fascinated by the history of the Civil War. 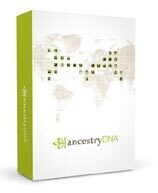 You have already made a start to trace your Civil War ancestry but want to take it further. The Civil War Genealogy Pack can help you in many ways whilst researching this line of your family’s past. There maybe many challenges that you will encounter and resources that you will want to know about in order to aid you with this research. So you maybe wondering what can you learn from this collection? Your family’s role at the time of this war that pitted the North against the South. How this conflict touched the lives of your ancestors. Whether they wore blue or gray, and whether they fought on the front line or endured life on the home front. By now you are probably wondering what is included in this collection. Well then, this collection comprises a total of FOUR digital resources that you can download and utilize straight away. There is an ebook, a digital download, a video class and a video download. As these products are digital then you are able to download them immediately. You can begin your research into this era of your American past right now today! You do not have to wait for any products to be delivered to you and so no time is wasted if you buy this collection. Normally this collection does cost $156.97, but if you purchase through Shop Family Tree then you can get this collection for a low $49.99. That is an incredible 68% saving. This ebookwill look at the social aspect of this era. It will show you how you dressed and what they ate. Also, how they entertained themselves and how much goods and services cost back in the day. A great guide to the best online sites where you can find Civil War history and records. This video guide will show you how to probe Civil War pensions. These records are a mine of information and can show you so much about your ancestors. This study class from Family Tree University will show you what Civil War records you will find. It will show you what you can find for both sides of this conflict. It will give an in-depth discussion on service records and also give you the techniques to search for your Civil War ancestors. Adding any connection to America’s past can obviously make your family’s history more interesting. You will want to know everything about them. Who were they, what side did they fight on and what did they do during the Civil War? You can always find a name and date of your ancestor and make a connection. But for any genealogist we want to go further than this. We want to detail the lives of our ancestors and how any important event may have affected them. This collection can help you research your colonial ancestors. It will help tell their story and add a new chapter, (or rather old chapter), to your family’s history. You will then be able to preserve this history for generations to come. And as this collection does contain digital products then you can immediately start tracing your colonial ancestors. There is no time wasted by waiting for a book to arrive in the mail. You can begin your colonial research straight away when you purchase the resources in this collection. I hope you enjoyed reading this review about the Civil War Genealogy Value Pack how it can help you find civil war ancestors. If you have any questions or comments then please leave a comment below. I didn’t know this even existed. I’m really interested in genealogy, however I’ve found it troubling how little one can find out about their slave ancestors especially during this time. Hi Whitney. Thank you for dropping by and leaving a comment. This is something that I want to explore and discuss in a future post. So please keep checking back for that. Great information Owain. I was wondering if you would know how I would be able to figure out if my daughters were Daughters Of The American Revolution and how I would figure that out. Some of the family think we have that claim but I don’t know for sure. Hi Fiona, try checking out the DAR website. There they explain that you start off with what you know and whatever documents that you have. Then they can check if there is any connection between you and who is already on their records. Check out the site and please get in touch with them as they will be able to help you. Hi Owain, thank you for sharing this great article. It was really interesting to know that people can find their war ancestors, particularly anyone involved with the American Civil War. I suppose any part of history makes up a person’s family tree, so it’s good that there are resources out there where you can find stuff like this. My pleasure. Not only do I want to give people practical advice on how to get records but also show that there are really useful guides that can help you along the way. There is just so much information out there. As genealogists we need to look everywhere. It will only enrich our ancestors stories.